Although Roger Daltrey was by no means the first member of the Who to take the solo plunge (both John Entwistle and Pete Townshend beat him to the punch), he was the first to make any kind of commercial impact. While "Giving It All Away" peeled off his self-titled debut album to hit the U.K. Top Five, the album itself went Top 50 in America and, almost as an afterthought, introduced the writing talents of the young and then-unknown Leo Sayer to the public at large. Eight months ahead of his own breakthrough hit, "The Show Must Go On," Sayer and writing partner Dave Courtney composed eight of Daltrey's ten tracks; Courtney co-produced the album with Adam Faith, then wrote the remaining pair with Faith himself. Of Sayer's contributions, both "Giving It All Away" and the opening "One Man Band" would subsequently reappear on his own Just a Boy album, itself titled for the chorus line of "Giving It All Away." 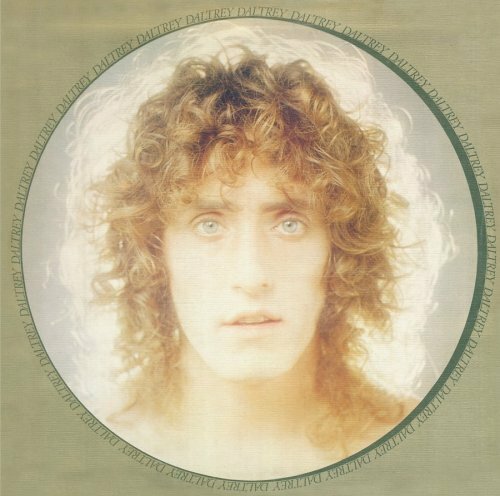 Daltrey's majestically plaintive rendition remains the definitive version, however, all the more so when linked with the "It's a Hard Life" lament that serves as prelude to the song on Daltrey. Far from the rocking bombast for which the Who were traditionally renowned, but far, too, from the somewhat maudlin melancholy of Pete Townshend's period balladeering, "Giving It All Away" showcases the sheer emotional dynamism that Daltrey was so capable of, a mood that the remainder of the album stretched in any number of directions. From the mock reggae of "The Story So Far" to the achingly fragile "You Are Yourself," Daltrey portrays its maker in colors that the Who could never have emulated -- a sometimes horrifying shock for die-hard fans, but a pleasant surprise for anyone tired of hearing him voice the increasingly dictatorial Townshend's self-aggrandizement. Indeed, the string-haunted "When the Music Stops" could almost be an open letter to his bandmate, just as "One Man Band" should have determined Daltrey's own immediate future. Sadly, however, his solo adventuring would remain just that, something to do between Who projects, with all the sad baggage that implies. There was a time, however, when Daltrey proved himself capable of operating far outside the Who's sphere of influence. And Daltrey still bristles with the pride of that discovery. AMG.